PASADENA -- Future Hall of Fame quarterback Peyton Manning surprised a teacher in Texas who is battling cancer. Teague Elementary teacher Rhonda Jacobs began following the two-time Super Bowl quarterback's career from his collegiate days with the University of Tennessee. 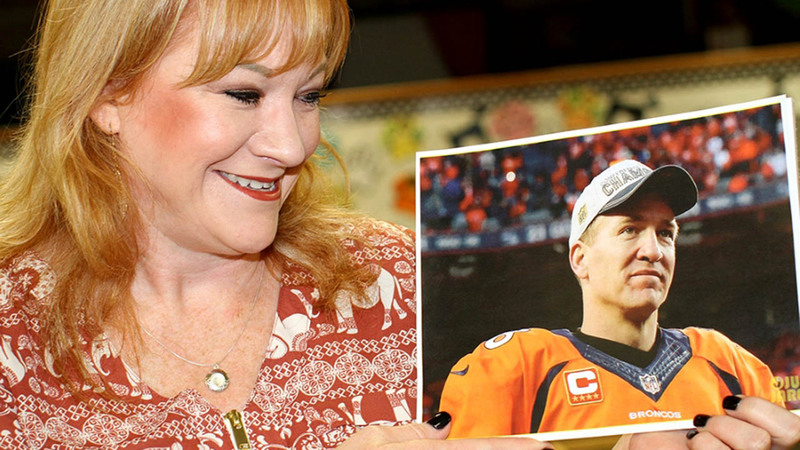 In July, the Pasadena teacher was diagnosed with cancer, and her dreams of meeting Manning began to diminish. "When I am at M.D. Anderson for treatments, I put on my earbuds and listen to Peyton Manning talk during press conferences," Jacobs said. "His voice calms me down." On Halloween, Jacobs received an unexpected phone call while driving home from work. "I was driving home and 'Unknown' appeared on my phone," Jacobs said. "I answered the phone and the person on the other line said, 'This is Peyton Manning.' I was speechless." Manning reached out to Jacobs after learning that she was diagnosed with cancer from her colleague Nikki Seymour, the school nurse at Teague Elementary. "I thought someone was playing a joke on me," Jacobs said. "After about two or three sentences, I knew that was his voice and I started freaking out. He did most of the talking and it was awesome." Seymour contacted Manning's PeyBack Foundation. "I wrote the organization and explained that we are not kids, but you are not going to meet a bigger fan than her. Within 30 minutes, his agent, who works side-by side with Peyton, called me," Seymour said. "Peyton wanted to do something special for Rhonda. It was amazing how quickly the organization responded to me." Manning gave Jacobs words of encouragement to help her through her treatments. "He said there will be dark days and I told him that I have already experienced some of those, but he said you just have to go through adversity and keep your faith strong." Pasadena Independent School District has more on this Pasadena teacher's special phone call.